Tonight's high school basketball schedule has all that and more. • No. 9 Tigard (3-1 in TRL play, 10-6 overall) at No. 20 Tualatin (1-3 in TRL play, 10-6 overall), 5:45 p.m.
• No. 30 Beaverton (2-2 in Metro play, 8-8 overall) at No. 25 Westview (5-5 in Metro play, 9-7 overall), 6 p.m.
• No. 42 David Douglas (3-3 in MHC play, 4-12 overall) at No. 21 Gresham (4-2 in MHC play, 11-5 overall), 6 p.m.
• No. 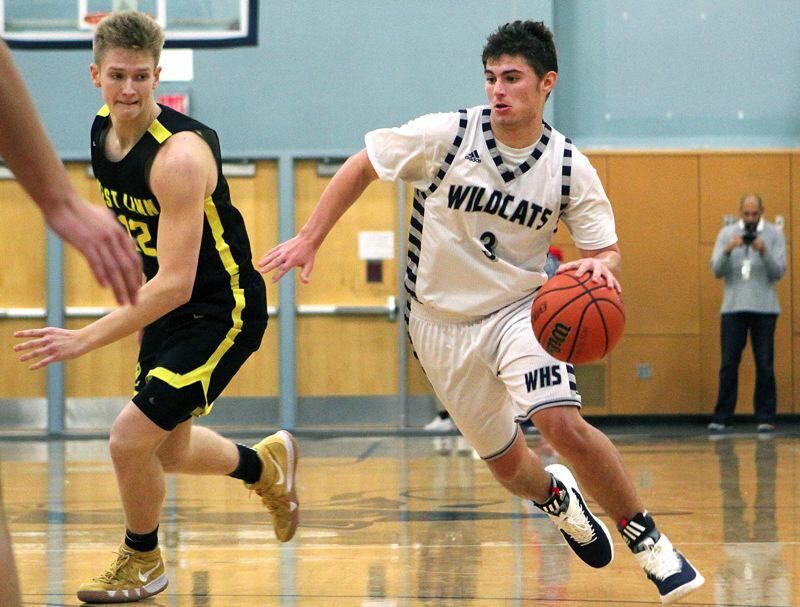 2 Wilsonville (5-0 in NWOC play, 14-2 overall) at No. 9 Putnam (4-1 in NWOC play, 8-4 overall), 7:15 p.m.
• No. 19 Milwaukie (1-4 in NWOC play, 4-10 overall) at No. 29 St. Helens (2-3 in NWOC play, 4-10 overall), 7:15 p.m.
• No. 30 Ridgeview (0-2 in IMC play, 1-14 overall) at No. 16 Crook County (0-2 in IMC play, 8-8 overall), 7 p.m.
• No. 3 Tigard (5-0 in TRL play, 14-2 overall) at No. 28 Tualatin (1-4 in TRL play, 5-10 overall), 7:15 p.m.
• No. 14 Liberty (3-1 in Pacific play, 9-7 overall) at No. 13 Forest Grove (2-3 in Pacific play, 12-5 overall), 7:15 p.m.
• No. 38 Canby (1-4 in TRL play, 5-11 overall) at No. 32 Lake Oswego (1-4 in TRL play, 4-12 overall), 7 p.m.
• No. 47 Sandy (3-3 in MHC play, 6-10 overall) at No. 33 Barlow (3-3 in MHC play, 9-7 overall), 7:30 p.m.
• No. 12 Putnam (2-3 in NWOC play, 11-5 overall) at No. 1 Wilsonville (5-0 in NWOC play, 12-4 overall), 7:15 p.m.
• No. 25 Milwaukie (2-3 in NWOC play, 4-10 overall) at No. 16 St. Helens (4-1 in NWOC play, 10-5 overall), 5:45 p.m.
• No. 19 Ridgeview (1-1in IMC play, 6-10 overall) at No. 32 Crook County (0-2 in IMC play, 1-13 overall), 5:30 p.m.
• No. 13 Gervais (7-2 TRC in play, 14-5 overall) at No. 1 Kennedy (10-0 in TRC play, 20-1 overall), 7 p.m.